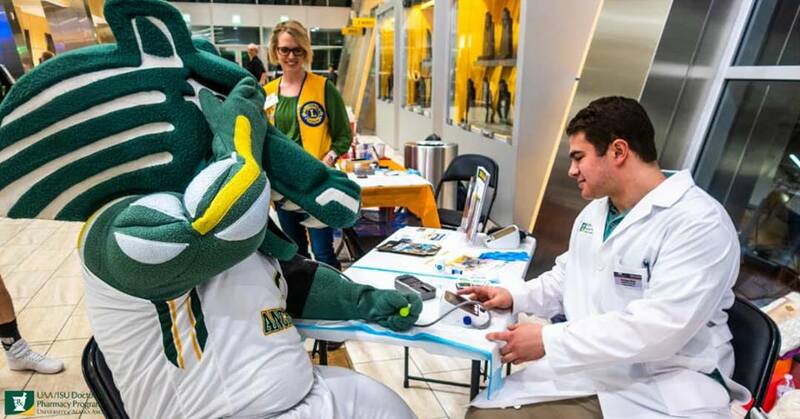 Benton Bay Athletics Lions Club "We Serve"
Anchorage Benton Bay Lions Club is partnering with UAA/Idaho State University School of Pharmacy to provide free blood sugar checks, Hemoglobin A1c checks and cholesterol levels as well and diabetes information and recommendations at recent UAA basketball games. 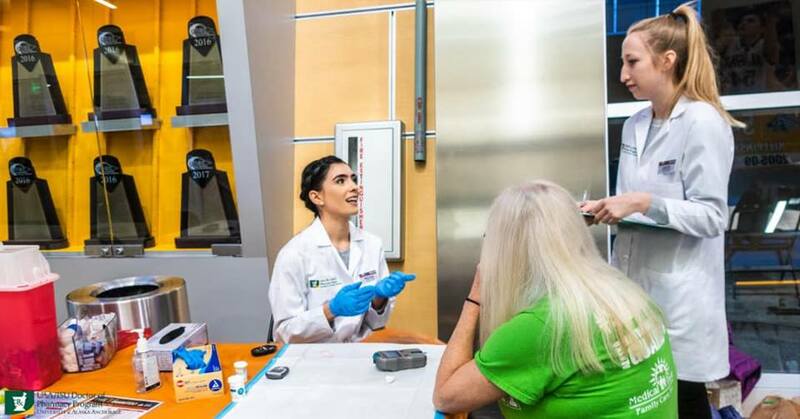 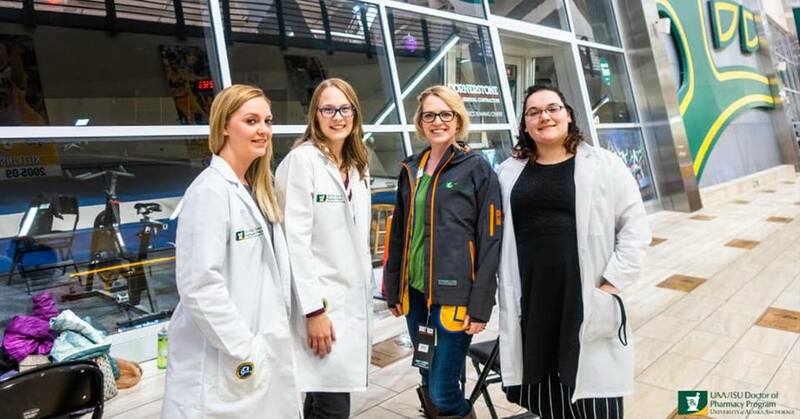 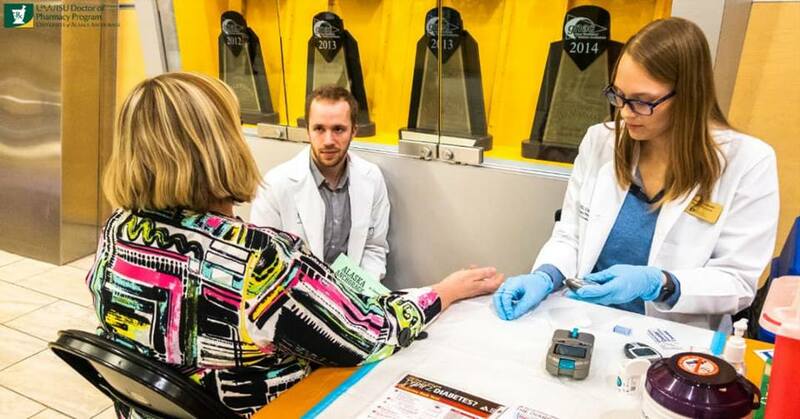 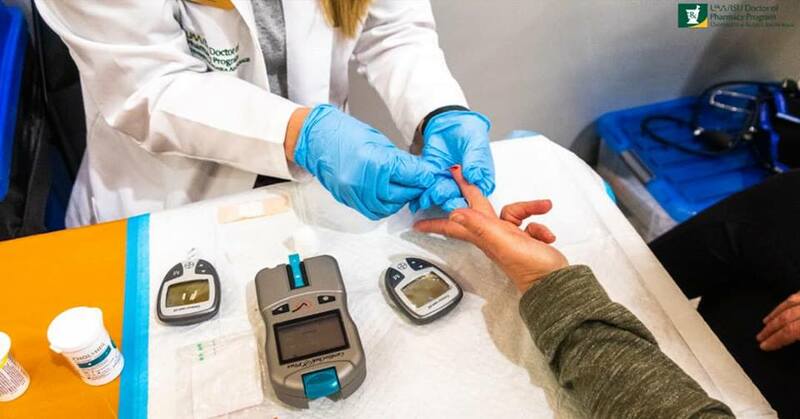 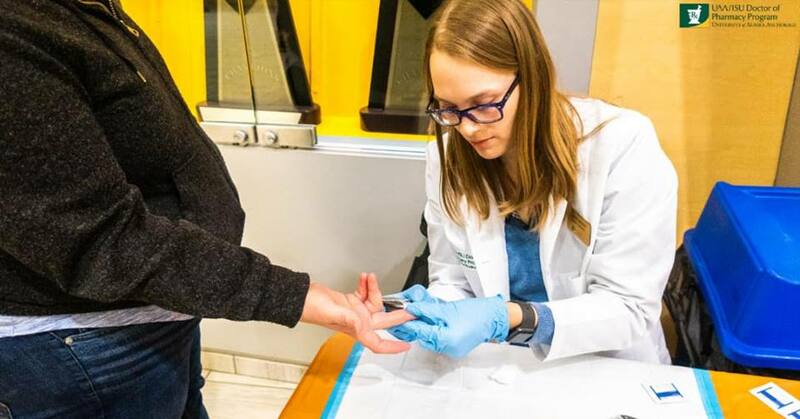 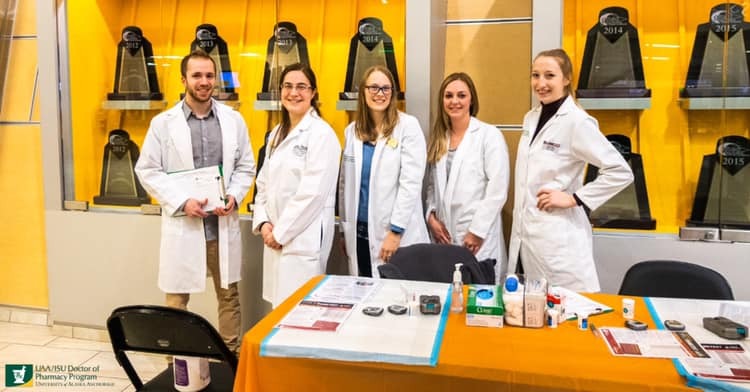 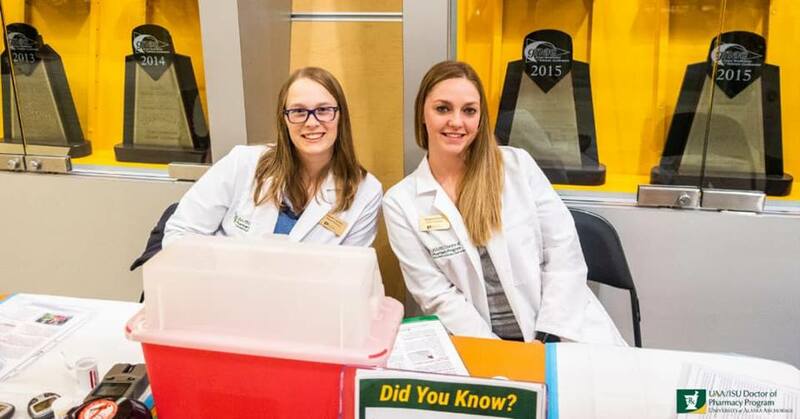 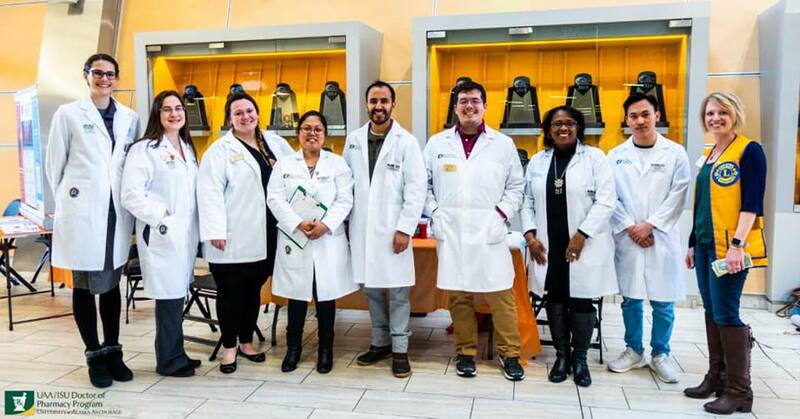 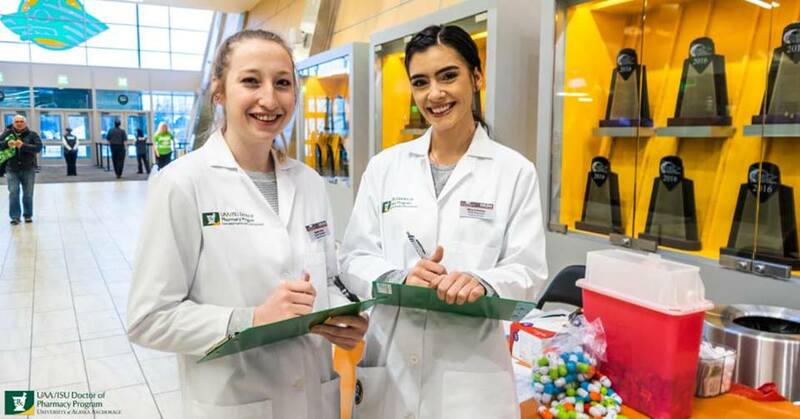 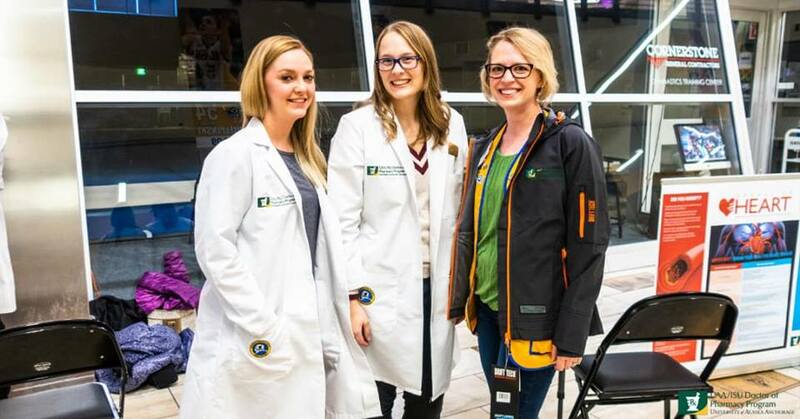 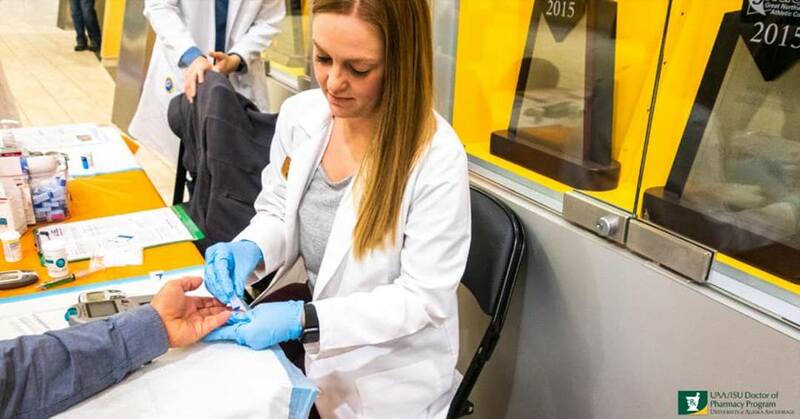 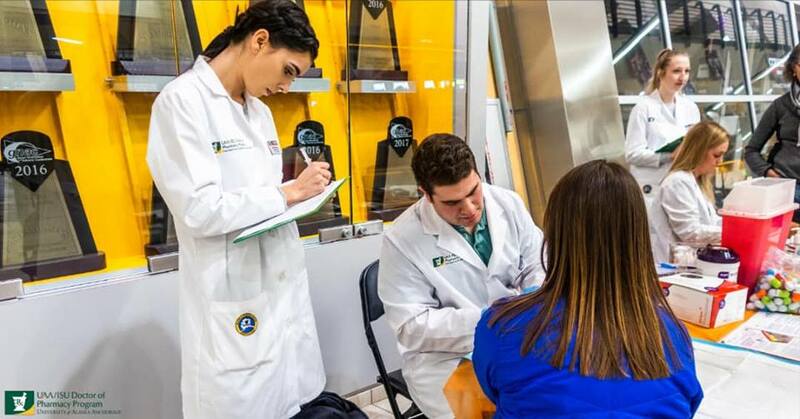 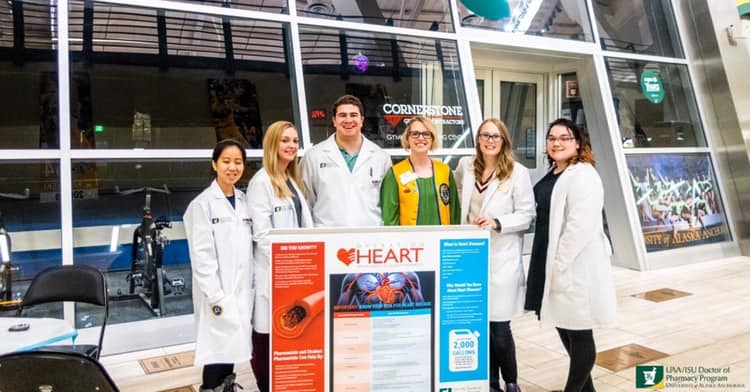 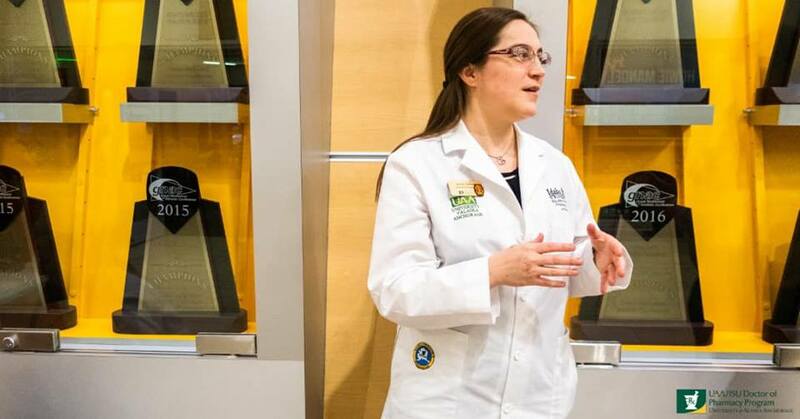 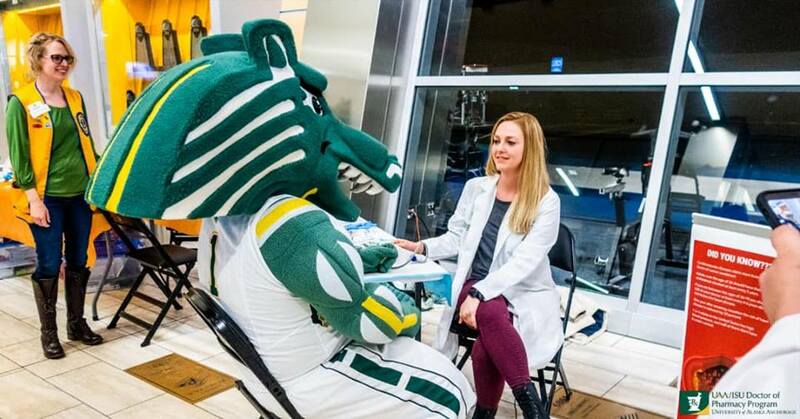 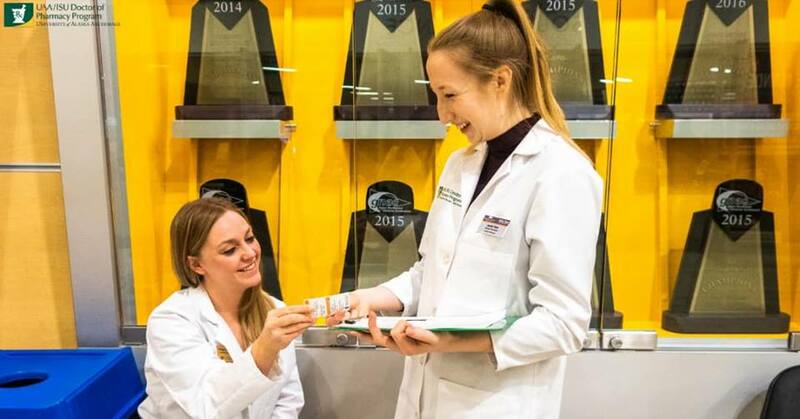 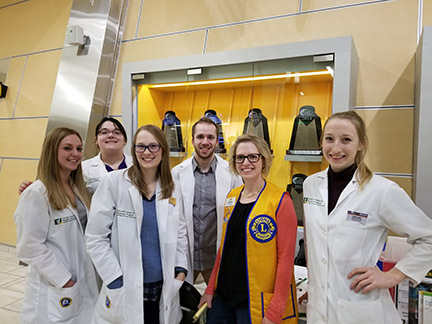 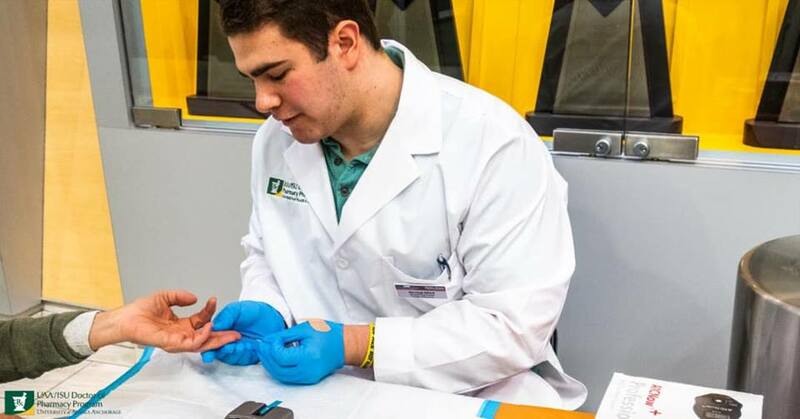 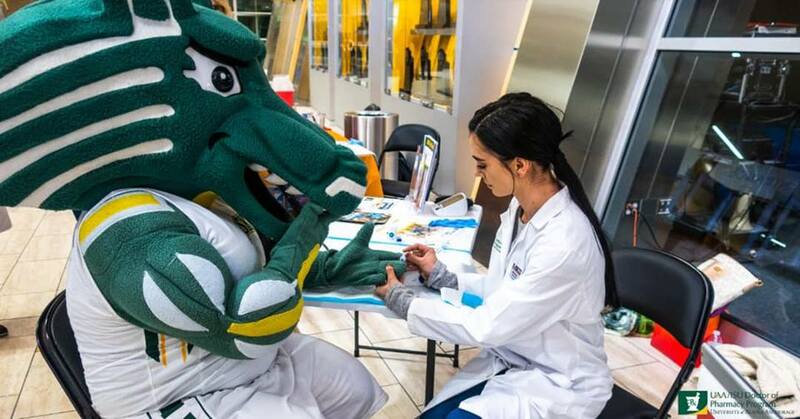 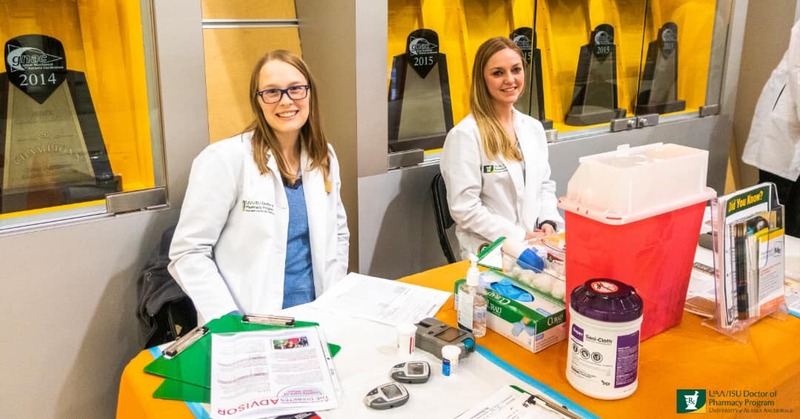 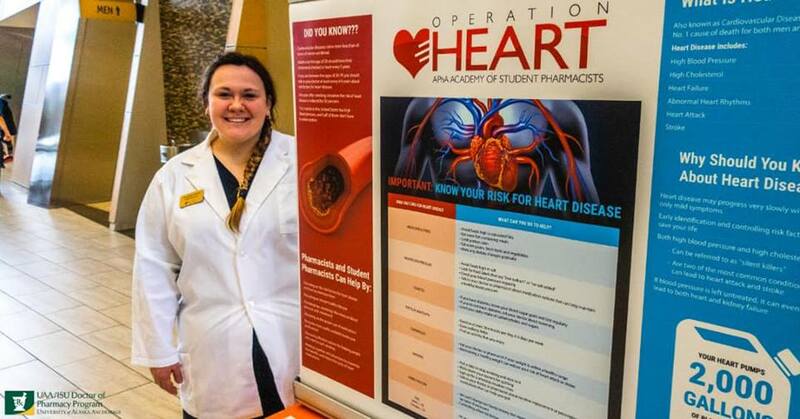 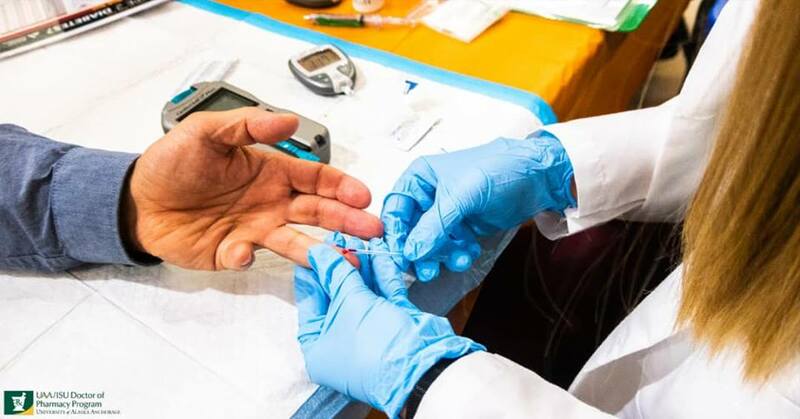 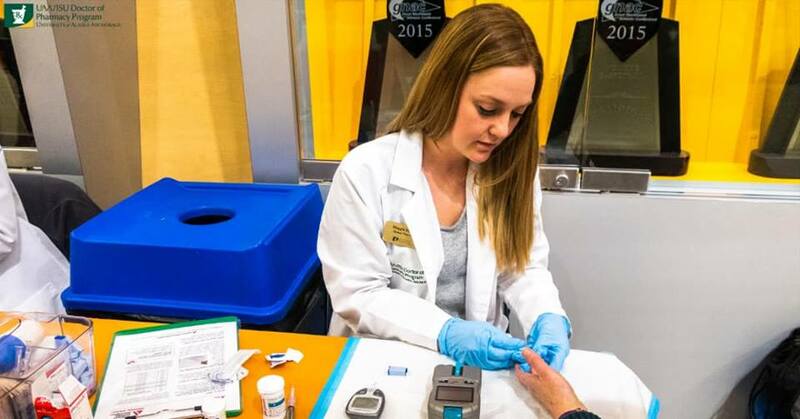 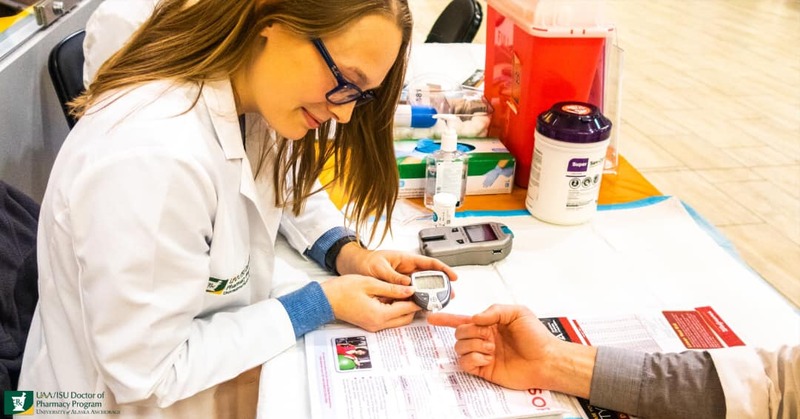 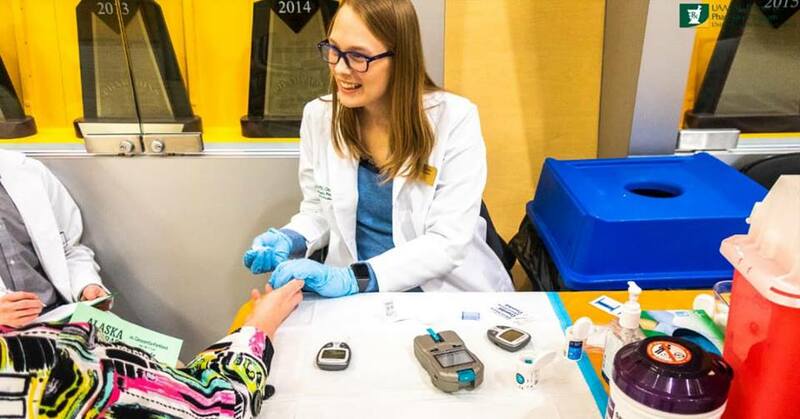 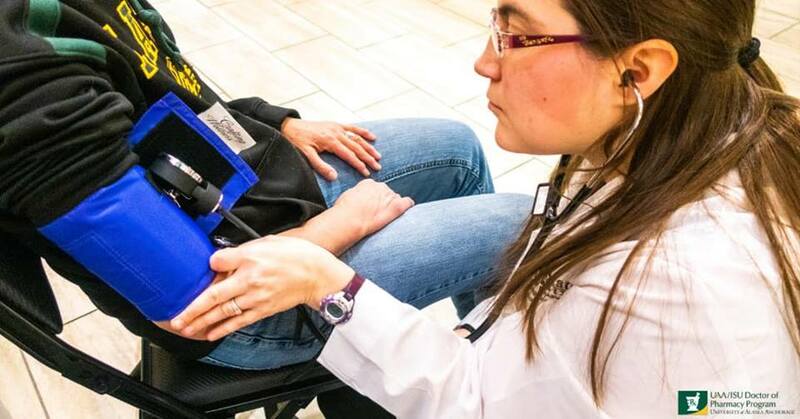 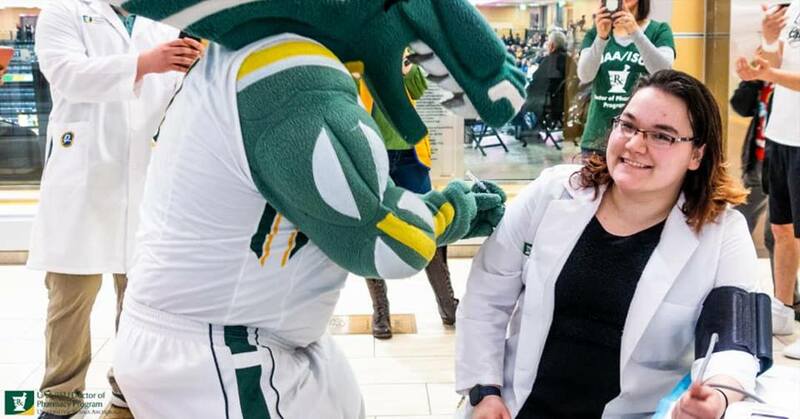 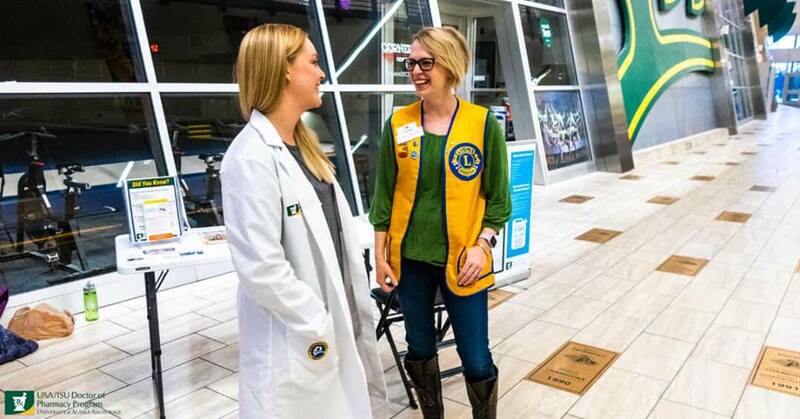 Pharmacy students provide the screenings and speak with attendees about diabetes risk factors, lifestyle changes and tips to control diabetes under the supervision of Benton Bay Lion Teresa Bahn. 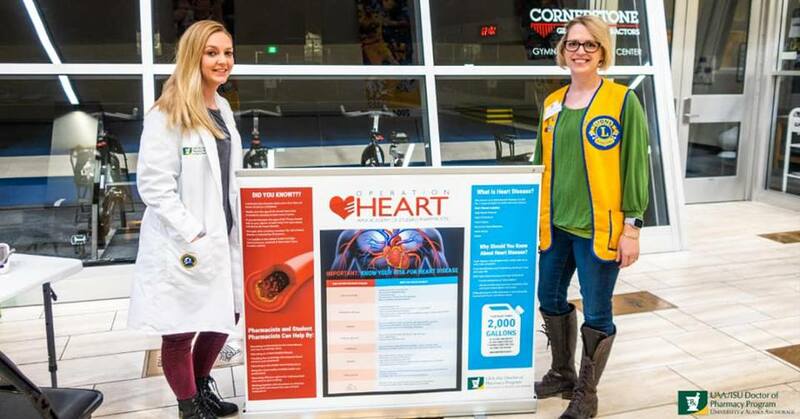 Lion Teresa is a Board Certified Geriatric Pharmacist who has worked to set up the partnership and provides education to both students and the basketball game attendees. 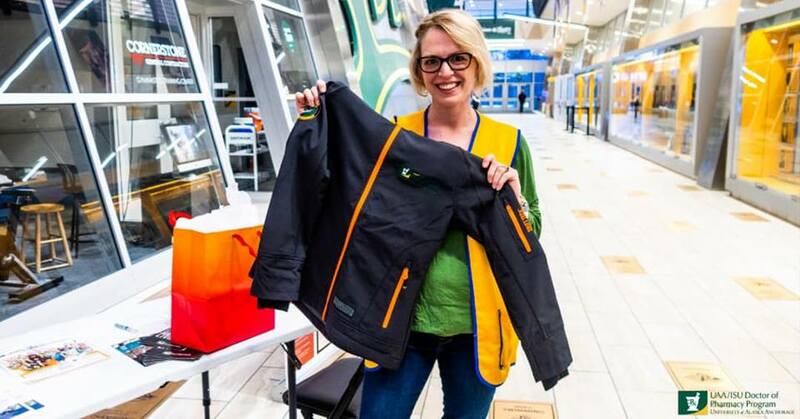 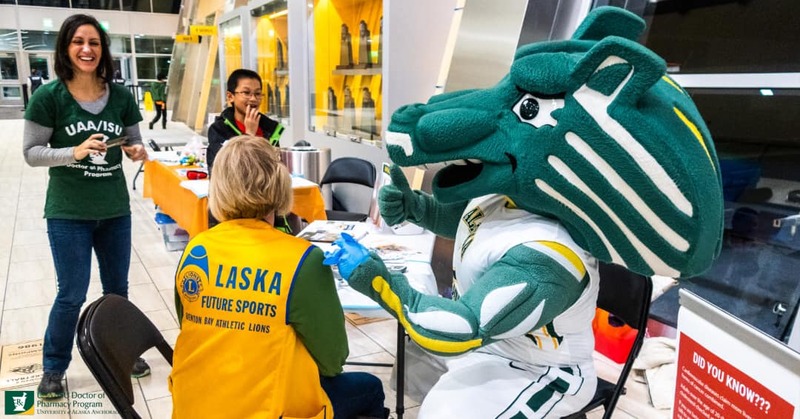 Future screenings will be held at the Alaska Airlines Center during home UAA basketball games. 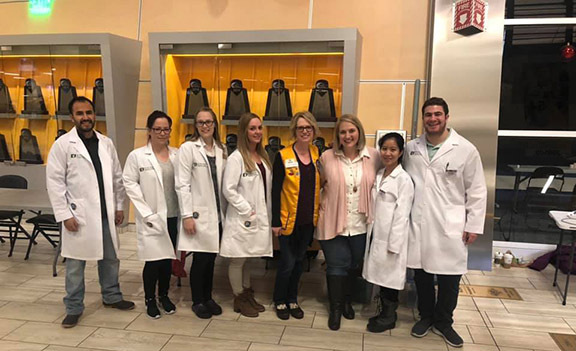 Lion Teresa Bahn and the pharmacy students on the screening team.